eScienceCommons: Atlanta Science Festival to launch at Emory with the power of WOW! 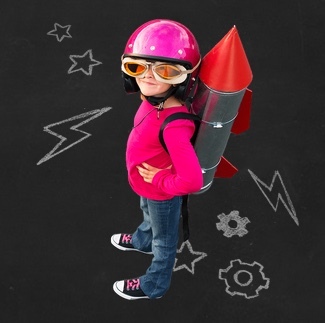 Atlanta Science Festival to launch at Emory with the power of WOW! Wow in the World host Mindy Thomas, center, will kick off the Atlanta Science Festival with the help of musical duo The Pop Ups (Jacob Stein, left, and Jason Rabinowitz). 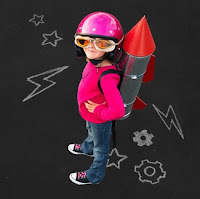 Watch for serious fun to spring up all around town as part of the 2019 Atlanta Science Festival, March 9 to March 23. The festival begins with a Wow in the World Pop Up Party on Saturday, March 9 from 11 am to noon on the Emory University campus. 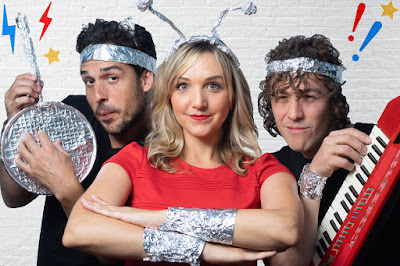 Mindy Thomas, a host of the popular NPR science-themed podcast Wow in the World, will engage curious kids and their grown-ups in games and skits with mad musical accompaniment by the Pop Ups — creators of the children’s music album Giants of Science. Kids will enjoy skits and games inspired by topics from the podcast like “Contagion Alert: The Science of Trying Not to Laugh” and “It SNOT What You Think.” Tickets are required for the launch event, set at Emory’s Glenn Memorial United Methodist Church, and it is expected to sell out. The Atlanta Science Festival, or ASF, will feature more than 100 events throughout the metro area hosted by school districts, universities, museums, businesses and civic and community groups. Delta Air Lines is the presenting sponsor for 2019. This year, Emory scientists will lead a walk with Mesozoic dinosaurs, discuss how neuro-engineering is blurring the lines between mind and machine and describe the physics of how babies learn to talk. Click here to see a full list of events connected to Emory. Hundreds of visitors are expected on the Emory campus on Friday, March 22 for the perennial festival favorites, "Chemistry Carnival" and "Physics Live!" Yong will join the playwrights for readings of their works and a panel discussion of this unique collaboration between art and science. This event is set for Wednesday, March 20, at 6:30 pm at the Carter Presidential Library and Museum. Two perennial festival favorites — Chemistry Carnival and Physics Live! — return this year to the Emory campus on Friday, March 22 from 3:30 to 7 pm. 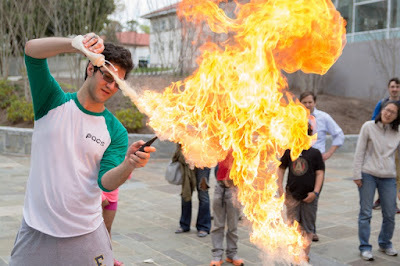 Emory science faculty and students will explain their research, give lab tours, and entertain with games like Peptide Jenga, a chance to play with giant soap bubbles and tastings of liquid nitrogen ice cream. Hundreds of visitors are expected to turn out for the events, held in the Mathematics and Science Center and Atwood Chemistry Center. Oxford hosts "Ada and the Engine"
A highlight on Emory’s Oxford campus will be performances of the play “Ada and the Engine,” portraying the groundbreaking career of Ada Lovelace — a mathematician, poet and the first computer programmer. The play was written by Lauren Gunderson, an acclaimed playwright who graduated from Emory in 2004. During the festival, the play will be performed Friday and Saturday, March 21 and 22, at 7:30 pm. 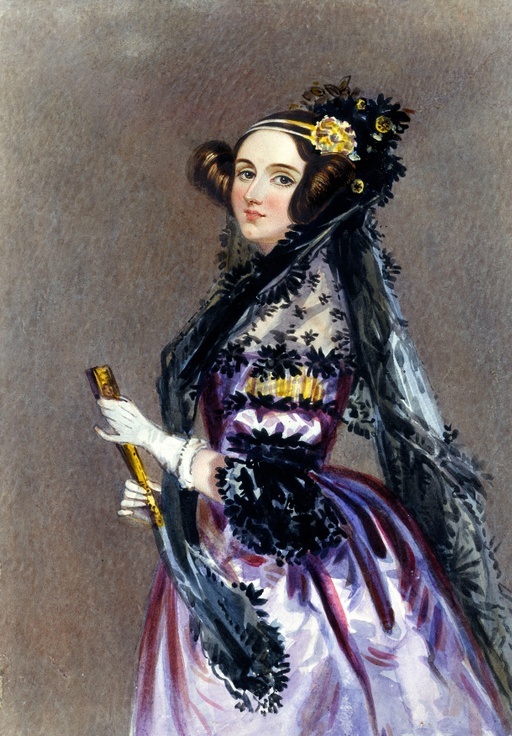 Performances will be followed by talks on the themes of women working in a field dominated by men, and a chance to walk through a special interactive exhibition, "Reviving Ada," curated by Oxford students to celebrate women's contributions to STEM fields from throughout history. Founded in 2014 by Emory University, Georgia Tech and the Metro Atlanta Chamber, the ASF celebration of local science, technology, engineering and math has brought programming to more than 200,000 people in the metro region, reaching a diverse audience of a wide variety of ages. Special funding from sponsors such as Delta, the Arthur M. Blank Family Foundation and others is helping ASF soar to new heights and extend some of its programming and events year-round. A chief science officer program charges student representatives from middle schools and high school to foster science communities at their schools.